I’m so glad I read Ginny Moon by Benjamin Ludwig. It was an emotional rollercoaster and really made me appreciate everything a little bit more. I grew to love Ginny Moon just as much as her Forever Mom and Forever Dad. I cared about her so much that I had to take a few breaks while reading because I was so nervous that she would get hurt and ruin her relationship with the nice family at the Blue House. Ginny Moon, while she really likes her adopted parents, left her Baby Doll under her bed when she was removed from her home by Children’s Services and she really needs “to take excellent care of it.” Through Facebook, Ginny contacts her Birth Mom and tries to get kidnapped. She lies, steals, and does lots of other bad things so that she can go and take care of her Baby Doll. The consequences tighten and heighten as more and more of the past is revealed. It is a beautiful and heart wrenching story that had me laugh and cry. The writing is brilliant. The story is told from Ginny’s perspective, and Ludwig knits Ginny into life. He takes on her mannerisms, uses descriptions to show us how her brain works. Ginny says for breakfast, “I go to the table and sit down at my spot. Next to my milk are two pieces of toast and some vanilla yogurt and a bowl with nine grapes.” There are so many nuances, personality quirks, and symbols in these two simple sentences. Taken on my lunch break at work. It’s such a dream to work walking distance to Kensington Gardens! The Original Ginny Moon is all the more magical for the fact that the author Benjamin Ludwig is a Forever Dad. He and his wife adopted an autistic teen girl and the story of Ginny Moon was inspired by going to his Forever daughter’s special Olympics basketball games. If you are questioning the need for a home, a purpose, and a place to belong, this book is for you. If you don’t believe that selfless people really exist in the world, this book is for you. 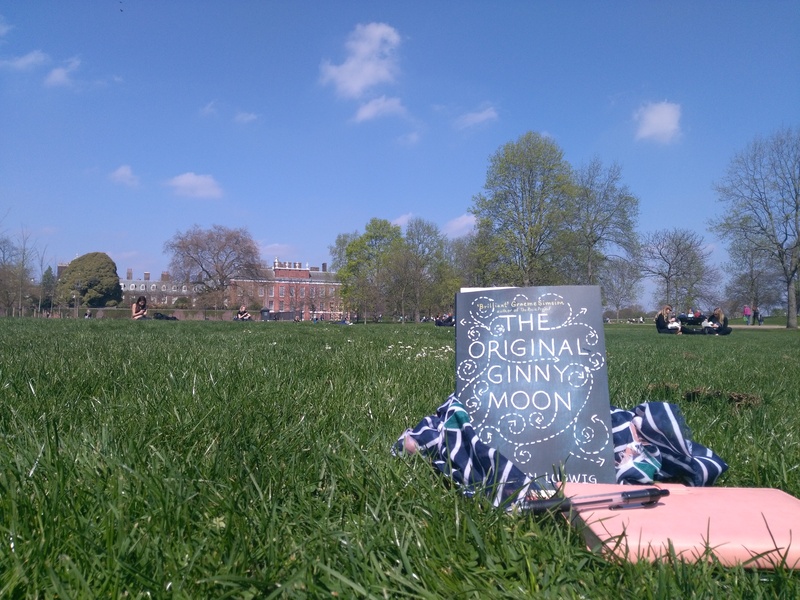 Ginny Moon is a gripping read that will warm your heart and make you want to leave your desk and love again. Don’t forget to read while eating with nine grapes. Play basketball. Make sure to pull up your socks nine times. Invite someone from your local social services to talk about how to help foster children in your area. Collect donations and give to a nonprofit that helps foster children and children with special needs. Order pizza with bacon and onions. Make sure to have plenty of human milk. 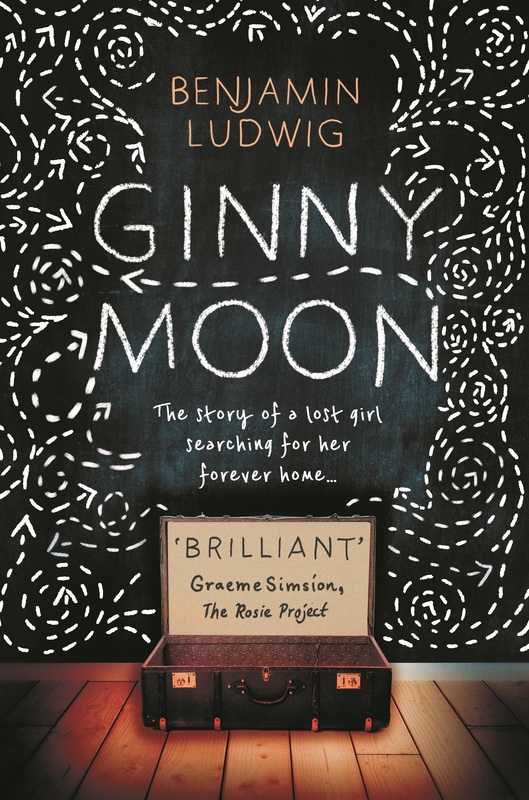 Ginny Moon by Benjamin Ludwig is out now for £12.99! PS. I am super biased as this was the first book I worked as the publicist on (well, publicity assistant, but still!